London has seen the increasing spread across the capital of Latin influenced culture in the form of the South American restaurant, café bar and music venue club night. Nowhere more so than on the busy and often tumultuous, chaotic thoroughfare of Islington High Street. The popularity of all things Latino from margaritas to tortilla, is obviously finding local favour as evidenced by the recent opening of Barrio North, a 'neighbourhood' DJ bar on Essex Road, close to Islington Green. Barrio North is aimed at evoking the spirit of community and collaboration by embracing the vibrant street culture of music and art, principally found in the 'Barrio' – or 'district' in Spanish – and refers to Hispanic neighbourhoods, from El Barrio in New York's East Harlem to Lisbon and Barcelona in Spain and ultimately, Rio and Havana, the original ghetto areas of Latin America. The interior uses reclaimed materials to re-cycle discarded items in unexpected and surprisingly visually pleasing ways including a plywood canopied ceiling, a wall of reversed tiles and La Caravana, a complete customised vintage caravan. The concept is inspired by owner, Ferdie Ahmed's experience of cities, replete with a Latin edge. 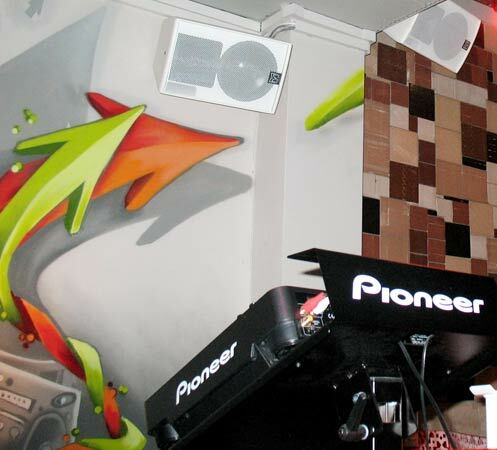 The intention to bring the El Barrio experience to the site of a former public house, The Warwick, on Essex Road also meant the vital importance of procuring an appropriate and correctly specified sound system with the highest quality control equipment to attract leading UK club DJs so that they may be able to serve up their unique blend of hot latino beats to generate the required crowd vibe. Ferdie had come across case studies of The Sound Division Group published in leading leisure industry trade journals and was particularly interested to read of several music system installations they had recently completed at a number of high profile celebrity venues in central London. 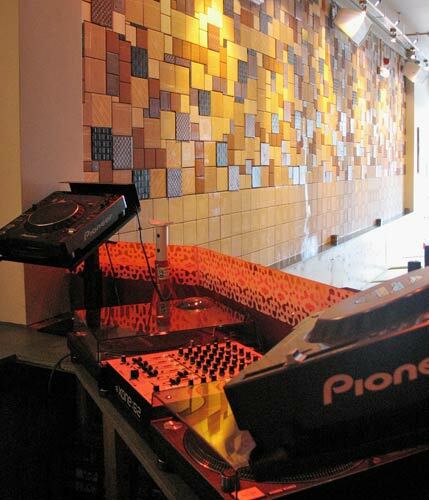 Having also recently visited one of these venues, All Star Lanes Bloomsbury, Ferdie was able to both see and hear a system in full operation for himself and was determined to get in touch with Sound Division at the earliest opportunity. "The requirements were fundamental; because the venue was to be open during the day as well as the night, it was important that the individual speakers would blend harmoniously with the interior décor. We also wanted to attract and take care of the DJs by giving them the best equipment available to play on and having a bit of a DJ background myself, I knew the names of the top brands that I wanted". Ferdie was also particularly concerned that being located in a residential area and having extended the premises licence to 3.00am, it was of paramount importance that sound levels would have to be strictly and easily controlled. Further precautions would have to be taken beyond the additional inbuilt soundproofing. The Sound Division Group recommended and carried out a full sound leakage report throughout the premises in order that a correctly specified amplification and loudspeaker combination could be selected with individual, separate zone control which would provide an ideal solution to address the potential leakage. "Sound Division gave me three or four different options which were all equally very suitable for our specific needs and fitted our budget nicely and I was completely confident in the final selection of the Martin Audio system". Specifying for wall bracket mounting along the entire span of one wall, which forms a long narrow front bar and rear area, Sound Division installed 6 x Martin Audio AQ8, 150 watt, two-way passive loudspeakers featuring an 8" long-throw, direct radiating bass unit and HF horn. The compact enclosures were delivered in an ice white finish in direct response to the request for compatibility with the interior furnishing. The low frequency signals are handled by 2 x Martin Audio AQ10 dual driver direct radiating subwoofers containing two 10" long throw bass drivers with low frequency ports for low noise, high power operation and are discreetly located at floor level adjacent to the bar. 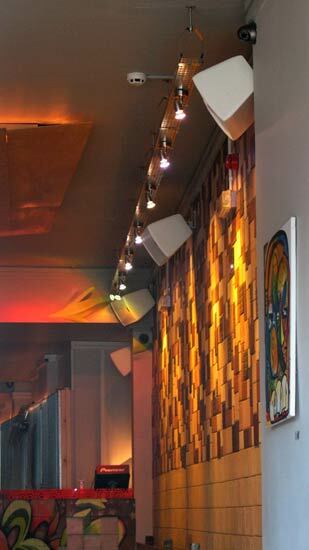 Additional sound is fed to two public washrooms by Martin Audio C4.8T 2-way flush ceiling loudspeakers. The system is driven by 4 x Crown XTi 1000 and 2000 series amplification delivering 700 watts per channel. Providing an effective solution to the demand for instant and complete control of the entire system, the interior space was divided into two distinct sound zones with the corresponding signal to the loudspeakers managed by the dbx ZonePro 640 digital processor. Handling a maximum of 6 total inputs and 4 total outputs, the processor offers full equalization, zoning and protection. Immediate sound levels can be rapidly controlled by the venue staff by the provision of 3 x ZC remote source, select volume control panels wall mounted behind the bar. The importance of the DJ booth and its equipment can never be underestimated and as the supreme focal point of a DJ bar venue ( aside from the bar itself ! ), is the deciding force for making or breaking reputations. The Sound Division Group ensured that the demand for high quality control equipment was met and installed, as standard. The DJ booth at Barrio North is fully loaded with 2 x Pioneer CD 1000 MK III CD players, displayed on dedicated bracket risers, the Allen & Heath Xone:62 Mixer and Technics SL1210 MK 5 turntables with Ortofon Concorde cartridges. Ferdie Ahmed was extremely pleased with the result, "The Sound Division Group listened very carefully to my exact requirements and ensured at an early stage that every aspect was considered in detail. They delivered and installed a system that met all expectations and an after care service to help with the fine adjustments". The installation team was led by JLC Contracting and Sound Division project manager, Elliot Patterson.